Sadly, I know everything I know about popular music now from Kidz Bop! 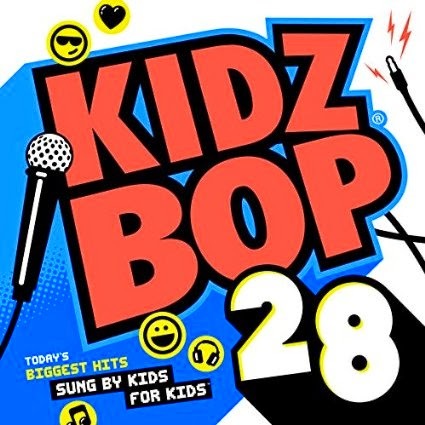 My kids love Kidz Bop and the new album we just received from them, Kidz Bop 28 is no different. This album contains many popular songs, and both of my boys ages two and seven just love it. My older son especially loves the album because it was recently played at a school dance, and he recognizes the songs from it! We all love Blank Space the best and find the entire album easy to listen to and dance to! We have listened to this quite a few times and have added it to our favorites, which includes Kidz Bop Party Pop which we have purchased two of because the first got lost and it was a favorite! If you haven't listed to a Kisz Bop Album before, check it out. You might just find yourself tapping your toe to the beat! My nephew cannot wait to get this cd! Thanks for the review! My daughter would absolutely love this!